Toyota CERTIFIED! This rear wheel drive Certified Pre Owned 2012 F-150 XLT features a Oxford White exterior with a Steel Gray Cloth interior and has only 82,349 miles. TECHNOLOGY FEATURES: This Toyota Certified F-150 for sale includes Keyless Entry, an Anti Theft System, an Auxiliary Audio Input, an MP3 Compatible Radio, an AM/FM Stereo, and a Single-Disc CD Player STOCK# P1851 PRICED BELOW MARKET RETAIL VALUE! Heyward Allen Toyota has this 2012 Ford F-150 XLT ready for sale today.Don't forget Heyward Allen Toyota WILL BUY OR TRADE FOR YOUR USED CAR, USED TRUCK and/or USED SUV! DEALER CONTACT INFO: Call Heyward Allen Toyota today at (706) 433-0433 TO SCHEDULE YOUR TEST DRIVE of this 2012 Ford F-150 XLT! Heyward Allen Toyota serves Athens,GA & the surrounding areas. You can also visit us at, 2910 Atlanta Hwy Athens GA, 30606 to check it out in person! MECHANICAL FEATURES: This Ford F-150 comes Factory equipped with an impressive 5.0l v8 ffv engine, an automatic transmission. Other installed mechanical features include Power Windows, Traction Control, a Spare Tire (Full Size), Power Mirrors, Power Locks, Rear Wheel Drive, a Third Passenger Door, Disc Brakes, a Tire Pressure Monitoring System, Cruise Control, Intermittent Wipers, Variable Speed Intermittent Wipers, and Power Steering INTERIOR OPTIONS: an Adjustable Lumbar Seat(s), Cloth Seats, Air Conditioning, a Pass-Through Rear Seat, a Bench Seat (Split), Rear Reading Lamps, an Adjustable Steering Wheel, a Reading Light(s), a Bench Seat, Floor Mats, and Vanity Mirrors EXTERIOR OPTIONS: Fog Lights, Aluminum Wheels, Privacy Glass, a Fourth Passenger Door, and an Auto Headlamp SAFETY OPTIONS: Electronic Stability Control, Anti-Lock Brakes, a Drivers Air Bag, a Rear Head Air Bag, a Front Head Air Bag, a Front Side Air Bags, and a Passenger Air Bag Toyota Certified Pre-Owned: With this 2012 Ford Certified F-150 XLT, you have far more than just a used vehicle. You have confidence, pride and a vehicle that you can trust. You're Ford Certified F-150 can be counted on to go the distance with higher resale value.This CPO vehicle has passed a stringent certification process in order to qualify as Toyota Certified. Your 2012 Ford F-150 was subjected to a comprehensive 160-point inspection and a thorough reconditioning process using Authentic Toyota Parts. Along with industry-leading heritage comes another advantage; an exceptional coverage policy. With a 12-month/12,000-mile Limited Comprehensive Warranty a 7-year/100,000-mile Limited Powertrain Warranty plus one full year of Roadside Assistance, honored at more that 1,400 Toyota dealers in the U.S. and Canada, we've got you covered. This four wheel drive 2012 Toyota Tacoma TRD Sport 4WD features a Silver Streak Mica exterior with a Graphite interior and has only 21,255 miles. TECHNOLOGY FEATURES: This used Toyota Tacoma includes Satellite Radio, an Auxiliary Audio Input, an Anti Theft System, an AM/FM Stereo, an MP3 Compatible Radio, and a Single-Disc CD Player STOCK# A015127 PRICED BELOW MARKET RETAIL VALUE! Heyward Allen Toyota has this used 2012 Toyota Tacoma TRD Sport for sale today. Don't forget Heyward Allen Toyota WILL BUY OR TRADE FOR YOUR USED CAR, USED TRUCK and/or USED SUV! Our Dealership in Athens, GA: Call Heyward Allen Toyota today at (706) 433-0433 TO SCHEDULE YOUR TEST DRIVE of this 2012 Toyota Tacoma TRD Sport Heyward Allen Toyota serves Athens and the surrounding Georgia cities. You can also visit us at, 2910 Atlanta Hwy Athens GA, 30606 to check it out in person! MECHANICAL FEATURES: This Toyota Tacoma comes factory equipped with an impressive 4.0l v6 efi dohc 24v engine, an automatic transmission. Other installed mechanical features include Four Wheel Drive, Power Windows, Traction Control, a Spare Tire (Full Size), Power Locks, a Locking Rear Differential, a Tire Pressure Monitoring System, Disc Brakes, and Power Steering INTERIOR OPTIONS: Cloth Seats, Bucket Seats, an Adjustable Steering Wheel, Air Conditioning, Vanity Mirrors, and a Reading Light(s) SAFETY OPTIONS: Electronic Stability Control, Brake Assist, a Drivers Air Bag, a Rear Head Air Bag, Anti-Lock Brakes, a Passenger Air Bag Sensor, a Front Side Air Bags, a Front Head Air Bag, and a Passenger Air Bag We're glad you found this used Toyota Tacoma for sale at our car dealership in Athens, GA. Looking for financing? Our Heyward Allen Toyota finance specialist will find the best rates available for this used Toyota Tacoma for sale. Heyward Allen Toyota has new cars for sale and used cars for sale in Athens. Toyota CERTIFIED! This rear wheel drive Certified Pre Owned 2015 Tacoma PreRunner features a Magnetic Gray Metallic exterior with a Graphite Cloth interior and has only 37,562 miles. TECHNOLOGY FEATURES: This Toyota Certified Tacoma for sale includes an Auxiliary Audio Input, an Anti Theft System, an MP3 Compatible Radio, an AM/FM Stereo, Bluetooth Connection, and a Single-Disc CD Player STOCK# P1855 PRICED BELOW MARKET RETAIL VALUE! Heyward Allen Toyota has this 2015 Toyota Tacoma PreRunner ready for sale today.Don't forget Heyward Allen Toyota WILL BUY OR TRADE FOR YOUR USED CAR, USED TRUCK and/or USED SUV! DEALER CONTACT INFO: Call Heyward Allen Toyota today at (706) 433-0433 TO SCHEDULE YOUR TEST DRIVE of this 2015 Toyota Tacoma PreRunner! Heyward Allen Toyota serves Athens,GA & the surrounding areas. You can also visit us at, 2910 Atlanta Hwy Athens GA, 30606 to check it out in person! MECHANICAL FEATURES: This Toyota Tacoma comes Factory equipped with an impressive 4.0l v6 efi dohc 24v engine, an automatic transmission. Other installed mechanical features include Power Windows, Traction Control, Power Mirrors, Front Tow Hooks, a Spare Tire (Full Size), Rear Wheel Drive, Power Locks, a Tire Pressure Monitoring System, Disc Brakes, Intermittent Wipers, Power Steering, and Variable Speed Intermittent Wipers INTERIOR OPTIONS: an Adjustable Lumbar Seat(s), Cloth Seats, an Adjustable Steering Wheel, a Pass-Through Rear Seat, Air Conditioning, Bucket Seats, Vanity Mirrors, and a Bench Seat EXTERIOR OPTIONS: Oversize Off-Road Tires, Steel Wheels, and an Auto Headlamp SAFETY OPTIONS: Electronic Stability Control, Brake Assist, Daytime Running Lights, a Drivers Air Bag, a Rear Head Air Bag, Anti-Lock Brakes, Child Proof Locks, a Front Side Air Bags, a Front Head Air Bag, and a Passenger Air Bag Sensor Toyota Certified Pre-Owned: With this 2015 Toyota Certified Tacoma PreRunner, you have far more than just a used vehicle. You have confidence, pride and a vehicle that you can trust. You're Toyota Certified Tacoma can be counted on to go the distance with higher resale value.This CPO vehicle has passed a stringent certification process in order to qualify as Toyota Certified. Your 2015 Toyota Tacoma was subjected to a comprehensive 160-point inspection and a thorough reconditioning process using Authentic Toyota Parts. Along with industry-leading heritage comes another advantage; an exceptional coverage policy. With a 12-month/12,000-mile Limited Comprehensive Warranty a 7-year/100,000-mile Limited Powertrain Warranty plus one full year of Roadside Assistance, honored at more that 1,400 Toyota dealers in the U.S. and Canada, we've got you covered. Toyota CERTIFIED! DESIRABLE FEATURES: BACKUP CAMERA, BLUETOOTH, REMOTE ENTRY, and FOG LAMPS. This rear wheel drive Certified Pre Owned 2016 Tacoma SR5 features a Magnetic Gray Metallic exterior with a Cement Gray Cloth interior and has only 16,492 miles. TECHNOLOGY FEATURES: This Toyota Certified Tacoma for sale includes Steering Wheel Audio Controls, Keyless Entry, Satellite Radio, an Auxiliary Audio Input, an Anti Theft System, an MP3 Compatible Radio, an AM/FM Stereo, Bluetooth Connection, and a Single-Disc CD Player STOCK# A506230 PRICED BELOW MARKET RETAIL VALUE! Heyward Allen Toyota has this 2016 Toyota Tacoma SR5 ready for sale today.Don't forget Heyward Allen Toyota WILL BUY OR TRADE FOR YOUR USED CAR, USED TRUCK and/or USED SUV! DEALER CONTACT INFO: Call Heyward Allen Toyota today at (706) 433-0433 TO SCHEDULE YOUR TEST DRIVE of this 2016 Toyota Tacoma SR5! Heyward Allen Toyota serves Athens,GA & the surrounding areas. You can also visit us at, 2910 Atlanta Hwy Athens GA, 30606 to check it out in person! MECHANICAL FEATURES: This Toyota Tacoma comes Factory equipped with an impressive v6 engine, an automatic transmission. Other installed mechanical features include Power Windows, Front Tow Hooks, Rear Wheel Drive, Traction Control, a Spare Tire (Full Size), Power Locks, Power Mirrors, Cruise Control, a Tire Pressure Monitoring System, Disc Brakes, Intermittent Wipers, a Trip Computer, Variable Speed Intermittent Wipers, and Power Steering INTERIOR OPTIONS: a Sliding Rear Window, an Adjustable Lumbar Seat(s), a Leather Wrapped Steering Wheel, Cloth Seats, Air Conditioning, Bucket Seats, an Adjustable Steering Wheel, a Pass-Through Rear Seat, and a Bench Seat EXTERIOR OPTIONS: Fog Lights, Steel Wheels, Privacy Glass, and an Auto Headlamp SAFETY OPTIONS: a Back-Up Camera, Electronic Stability Control, Daytime Running Lights, Brake Assist, Anti-Lock Brakes, Knee AirBag, a Rear Head Air Bag, a Drivers Air Bag, a Passenger Air Bag Sensor, a Front Head Air Bag, Child Proof Locks, and a Front Side Air Bags Toyota Certified Pre-Owned: With this 2016 Toyota Certified Tacoma SR5, you have far more than just a used vehicle. You have confidence, pride and a vehicle that you can trust. You're Toyota Certified Tacoma can be counted on to go the distance with higher resale value.This CPO vehicle has passed a stringent certification process in order to qualify as Toyota Certified. Your 2016 Toyota Tacoma was subjected to a comprehensive 160-point inspection and a thorough reconditioning process using Authentic Toyota Parts. Along with industry-leading heritage comes another advantage; an exceptional coverage policy. With a 12-month/12,000-mile Limited Comprehensive Warranty a 7-year/100,000-mile Limited Powertrain Warranty plus one full year of Roadside Assistance, honored at more that 1,400 Toyota dealers in the U.S. and Canada, we've got you covered. Toyota CERTIFIED! DESIRABLE FEATURES: BACKUP CAMERA, BLUETOOTH, REMOTE ENTRY, and FOG LAMPS. This rear wheel drive Certified Pre Owned 2016 Tacoma SR5 features a Magnetic Gray Metallic exterior with a Cement Gray Cloth interior and has only 37,957 miles. TECHNOLOGY FEATURES: This Toyota Certified Tacoma for sale includes Steering Wheel Audio Controls, Keyless Entry, Satellite Radio, an Anti Theft System, an Auxiliary Audio Input, Bluetooth Connection, an AM/FM Stereo, an MP3 Compatible Radio, and a Single-Disc CD Player STOCK# P1862 PRICED BELOW MARKET RETAIL VALUE! Heyward Allen Toyota has this 2016 Toyota Tacoma SR5 ready for sale today.Don't forget Heyward Allen Toyota WILL BUY OR TRADE FOR YOUR USED CAR, USED TRUCK and/or USED SUV! DEALER CONTACT INFO: Call Heyward Allen Toyota today at (706) 433-0433 TO SCHEDULE YOUR TEST DRIVE of this 2016 Toyota Tacoma SR5! Heyward Allen Toyota serves Athens,GA & the surrounding areas. You can also visit us at, 2910 Atlanta Hwy Athens GA, 30606 to check it out in person! MECHANICAL FEATURES: This Toyota Tacoma comes Factory equipped with an impressive v6 engine, an automatic transmission. Other installed mechanical features include Power Windows, Rear Wheel Drive, Power Locks, Power Mirrors, Front Tow Hooks, Traction Control, a Spare Tire (Full Size), a Tire Pressure Monitoring System, Cruise Control, Disc Brakes, Intermittent Wipers, Power Steering, Variable Speed Intermittent Wipers, and a Trip Computer INTERIOR OPTIONS: a Sliding Rear Window, Cloth Seats, a Leather Wrapped Steering Wheel, an Adjustable Lumbar Seat(s), Air Conditioning, a Pass-Through Rear Seat, an Adjustable Steering Wheel, Bucket Seats, and a Bench Seat EXTERIOR OPTIONS: Fog Lights, Privacy Glass, Steel Wheels, and an Auto Headlamp SAFETY OPTIONS: a Back-Up Camera, Electronic Stability Control, Brake Assist, Daytime Running Lights, Anti-Lock Brakes, a Rear Head Air Bag, a Drivers Air Bag, Knee AirBag, a Front Head Air Bag, Child Proof Locks, a Passenger Air Bag Sensor, and a Front Side Air Bags Toyota Certified Pre-Owned: With this 2016 Toyota Certified Tacoma SR5, you have far more than just a used vehicle. You have confidence, pride and a vehicle that you can trust. You're Toyota Certified Tacoma can be counted on to go the distance with higher resale value.This CPO vehicle has passed a stringent certification process in order to qualify as Toyota Certified. Your 2016 Toyota Tacoma was subjected to a comprehensive 160-point inspection and a thorough reconditioning process using Authentic Toyota Parts. Along with industry-leading heritage comes another advantage; an exceptional coverage policy. With a 12-month/12,000-mile Limited Comprehensive Warranty a 7-year/100,000-mile Limited Powertrain Warranty plus one full year of Roadside Assistance, honored at more that 1,400 Toyota dealers in the U.S. and Canada, we've got you covered. Toyota CERTIFIED! This four wheel drive Certified Pre Owned 2015 Tacoma TRD Off Road 4WD features a Super White exterior with a Graphite Cloth interior and has only 56,764 miles. TECHNOLOGY FEATURES: This Toyota Certified Tacoma for sale includes an Auxiliary Audio Input, an Anti Theft System, an AM/FM Stereo, Bluetooth Connection, an MP3 Compatible Radio, and a Single-Disc CD Player STOCK# P1874 PRICED BELOW MARKET RETAIL VALUE! Heyward Allen Toyota has this 2015 Toyota Tacoma TRD Off Road 4WD ready for sale today.Don't forget Heyward Allen Toyota WILL BUY OR TRADE FOR YOUR USED CAR, USED TRUCK and/or USED SUV! DEALER CONTACT INFO: Call Heyward Allen Toyota today at (706) 433-0433 TO SCHEDULE YOUR TEST DRIVE of this 2015 Toyota Tacoma TRD Off Road 4WD! Heyward Allen Toyota serves Athens,GA & the surrounding areas. You can also visit us at, 2910 Atlanta Hwy Athens GA, 30606 to check it out in person! MECHANICAL FEATURES: This Toyota Tacoma comes Factory equipped with an impressive 4.0l v6 efi dohc 24v engine, an automatic transmission. Other installed mechanical features include Power Windows, Four Wheel Drive, Power Mirrors, Power Locks, Traction Control, a Spare Tire (Full Size), Front Tow Hooks, a Tire Pressure Monitoring System, Disc Brakes, Intermittent Wipers, Variable Speed Intermittent Wipers, and Power Steering INTERIOR OPTIONS: Cloth Seats, an Adjustable Lumbar Seat(s), an Adjustable Steering Wheel, a Pass-Through Rear Seat, Air Conditioning, Bucket Seats, Vanity Mirrors, and a Bench Seat EXTERIOR OPTIONS: Oversize Off-Road Tires, Steel Wheels, and an Auto Headlamp SAFETY OPTIONS: Electronic Stability Control, Daytime Running Lights, Brake Assist, Anti-Lock Brakes, a Drivers Air Bag, a Rear Head Air Bag, Child Proof Locks, a Passenger Air Bag Sensor, a Front Head Air Bag, and a Front Side Air Bags Toyota Certified Pre-Owned: With this 2015 Toyota Certified Tacoma TRD Off Road 4WD, you have far more than just a used vehicle. You have confidence, pride and a vehicle that you can trust. You're Toyota Certified Tacoma can be counted on to go the distance with higher resale value.This CPO vehicle has passed a stringent certification process in order to qualify as Toyota Certified. Your 2015 Toyota Tacoma was subjected to a comprehensive 160-point inspection and a thorough reconditioning process using Authentic Toyota Parts. Along with industry-leading heritage comes another advantage; an exceptional coverage policy. With a 12-month/12,000-mile Limited Comprehensive Warranty a 7-year/100,000-mile Limited Powertrain Warranty plus one full year of Roadside Assistance, honored at more that 1,400 Toyota dealers in the U.S. and Canada, we've got you covered. Toyota CERTIFIED! DESIRABLE FEATURES: BACKUP CAMERA, CRASH AVOIDANCE, BLUETOOTH, REMOTE ENTRY, and FOG LAMPS. This rear wheel drive Certified Pre Owned 2018 Tacoma SR5 features a Silver Sky Metallic exterior with a Cement Gray Cloth interior and has only 8,821 miles. TECHNOLOGY FEATURES: This Toyota Certified Tacoma for sale includes Keyless Entry, Steering Wheel Audio Controls, Satellite Radio, an Anti Theft System, an Auxiliary Audio Input, an AM/FM Stereo, Bluetooth Connection, an MP3 Compatible Radio, a High-Definition Radio, and a Single-Disc CD Player STOCK# A005850 PRICED BELOW MARKET RETAIL VALUE! Heyward Allen Toyota has this 2018 Toyota Tacoma SR5 ready for sale today.Don't forget Heyward Allen Toyota WILL BUY OR TRADE FOR YOUR USED CAR, USED TRUCK and/or USED SUV! DEALER CONTACT INFO: Call Heyward Allen Toyota today at (706) 433-0433 TO SCHEDULE YOUR TEST DRIVE of this 2018 Toyota Tacoma SR5! Heyward Allen Toyota serves Athens,GA & the surrounding areas. You can also visit us at, 2910 Atlanta Hwy Athens GA, 30606 to check it out in person! MECHANICAL FEATURES: This Toyota Tacoma comes Factory equipped with an impressive v6 engine, an automatic transmission. Other installed mechanical features include Power Windows, Power Mirrors, Front Tow Hooks, Traction Control, Rear Wheel Drive, Power Locks, a Spare Tire (Full Size), a Tire Pressure Monitoring System, Cruise Control, Disc Brakes, Intermittent Wipers, Variable Speed Intermittent Wipers, a Trip Computer, and Power Steering INTERIOR OPTIONS: an Adjustable Lumbar Seat(s), a Leather Wrapped Steering Wheel, Cloth Seats, Bucket Seats, a Pass-Through Rear Seat, Air Conditioning, an Adjustable Steering Wheel, and a Bench Seat EXTERIOR OPTIONS: Aluminum Wheels, Fog Lights, a Trailer Hitch Receiver, Privacy Glass, and an Auto Headlamp SAFETY OPTIONS: Electronic Stability Control, a Back-Up Camera, Lane Departure Warning, Brake Assist, Daytime Running Lights, a Drivers Air Bag, Anti-Lock Brakes, a Rear Head Air Bag, Knee AirBag, a Front Side Air Bags, a Front Head Air Bag, Child Proof Locks, an Auto Dimming R/V Mirror, and a Passenger Air Bag Sensor Toyota Certified Pre-Owned: With this 2018 Toyota Certified Tacoma SR5, you have far more than just a used vehicle. You have confidence, pride and a vehicle that you can trust. You're Toyota Certified Tacoma can be counted on to go the distance with higher resale value.This CPO vehicle has passed a stringent certification process in order to qualify as Toyota Certified. Your 2018 Toyota Tacoma was subjected to a comprehensive 160-point inspection and a thorough reconditioning process using Authentic Toyota Parts. Along with industry-leading heritage comes another advantage; an exceptional coverage policy. With a 12-month/12,000-mile Limited Comprehensive Warranty a 7-year/100,000-mile Limited Powertrain Warranty plus one full year of Roadside Assistance, honored at more that 1,400 Toyota dealers in the U.S. and Canada, we've got you covered. Clean CARFAX. **BED LINER**, Trailor brake controller for all of your towing needs., ABS brakes, Compass, Electronic Stability Control, Illuminated entry, Low tire pressure warning, Remote keyless entry, Traction control.Hot Options Include:, Meticulously Detailed inside and out, Passed Rigorous Safety Inspection Performed by a Certified Technician, Fresh Oil Change,Priced below KBB Fair Purchase Price!White 2016 Ford F-150 XLT 4WD 6-Speed Automatic Electronic EcoBoost 3.5L V6 GTDi DOHC 24V Twin TurbochargedAwards:* 2016 KBB.com Brand Image AwardsHeyward Allen is the home of the Worry Free research folder, providing you with complimentary carfax history report, reconditioning repair orders, price comparisons, and for GM vehicles, warranty history and factory build sheets. All Figures Exclude Tax, Tag, Title and registration and INCLUDES Dealer Fees. Dealer retains all rebates. Price does not include Accessories Proudly serving the following communities: Athens, Watkinsville, Bogart, Bishop, Statham, Greensboro, Eatonton, Madison, Jefferson, Commerce, Winder, Monroe, Loganville, Gainesville and Elberton. If you don't see it, we can get it! Toyota CERTIFIED! This four wheel drive Certified Pre Owned 2015 Tacoma TRD Sport 4WD features a Magnetic Gray Metallic exterior with a Graphite Cloth interior and has only 34,790 miles. TECHNOLOGY FEATURES: This Toyota Certified Tacoma for sale includes an Anti Theft System, an Auxiliary Audio Input, an AM/FM Stereo, an MP3 Compatible Radio, Bluetooth Connection, and a Single-Disc CD Player STOCK# P1857 PRICED BELOW MARKET RETAIL VALUE! Heyward Allen Toyota has this 2015 Toyota Tacoma TRD Sport 4WD ready for sale today.Don't forget Heyward Allen Toyota WILL BUY OR TRADE FOR YOUR USED CAR, USED TRUCK and/or USED SUV! DEALER CONTACT INFO: Call Heyward Allen Toyota today at (706) 433-0433 TO SCHEDULE YOUR TEST DRIVE of this 2015 Toyota Tacoma TRD Sport 4WD! Heyward Allen Toyota serves Athens,GA & the surrounding areas. You can also visit us at, 2910 Atlanta Hwy Athens GA, 30606 to check it out in person! MECHANICAL FEATURES: This Toyota Tacoma comes Factory equipped with an impressive 4.0l v6 efi dohc 24v engine, an automatic transmission. Other installed mechanical features include Four Wheel Drive, Power Windows, a Spare Tire (Full Size), Power Mirrors, Power Locks, Traction Control, Front Tow Hooks, a Tire Pressure Monitoring System, Disc Brakes, Intermittent Wipers, Power Steering, and Variable Speed Intermittent Wipers INTERIOR OPTIONS: Cloth Seats, an Adjustable Lumbar Seat(s), Air Conditioning, an Adjustable Steering Wheel, Bucket Seats, a Pass-Through Rear Seat, a Bench Seat, and Vanity Mirrors EXTERIOR OPTIONS: Oversize Off-Road Tires, Steel Wheels, and an Auto Headlamp SAFETY OPTIONS: Electronic Stability Control, Brake Assist, Daytime Running Lights, Anti-Lock Brakes, a Rear Head Air Bag, a Drivers Air Bag, Child Proof Locks, a Front Side Air Bags, a Passenger Air Bag Sensor, and a Front Head Air Bag Toyota Certified Pre-Owned: With this 2015 Toyota Certified Tacoma TRD Sport 4WD, you have far more than just a used vehicle. You have confidence, pride and a vehicle that you can trust. You're Toyota Certified Tacoma can be counted on to go the distance with higher resale value.This CPO vehicle has passed a stringent certification process in order to qualify as Toyota Certified. Your 2015 Toyota Tacoma was subjected to a comprehensive 160-point inspection and a thorough reconditioning process using Authentic Toyota Parts. Along with industry-leading heritage comes another advantage; an exceptional coverage policy. With a 12-month/12,000-mile Limited Comprehensive Warranty a 7-year/100,000-mile Limited Powertrain Warranty plus one full year of Roadside Assistance, honored at more that 1,400 Toyota dealers in the U.S. and Canada, we've got you covered. Toyota CERTIFIED! DESIRABLE FEATURES: BACKUP CAMERA, 4X4, NAVIGATION, BLUETOOTH, REMOTE ENTRY, and FOG LAMPS. This four wheel drive Certified Pre Owned 2016 Tacoma TRD Offroad features a Black exterior with a Graphite W/gun Metal Cloth interior and has only 22,220 miles. TECHNOLOGY FEATURES: This Toyota Certified Tacoma for sale includes Keyless Start, Satellite Radio, Steering Wheel Audio Controls, a Navigation System, Keyless Entry, an Anti Theft System, an Auxiliary Audio Input, Digital Media Storage, an MP3 Compatible Radio, an AM/FM Stereo, a HD Radio, Bluetooth Connection, and a Single-Disc CD Player STOCK# P1864 PRICED BELOW MARKET RETAIL VALUE! Heyward Allen Toyota has this 2016 Toyota Tacoma TRD Offroad ready for sale today.Don't forget Heyward Allen Toyota WILL BUY OR TRADE FOR YOUR USED CAR, USED TRUCK and/or USED SUV! DEALER CONTACT INFO: Call Heyward Allen Toyota today at (706) 433-0433 TO SCHEDULE YOUR TEST DRIVE of this 2016 Toyota Tacoma TRD Offroad! Heyward Allen Toyota serves Athens,GA & the surrounding areas. You can also visit us at, 2910 Atlanta Hwy Athens GA, 30606 to check it out in person! MECHANICAL FEATURES: This Toyota Tacoma comes Factory equipped with an impressive v6 engine, an automatic transmission. Other installed mechanical features include Four Wheel Drive, Power Windows, Front Tow Hooks, Traction Control, Power Mirrors, a Spare Tire (Full Size), Power Locks, a Locking Rear Differential, a Tire Pressure Monitoring System, Disc Brakes, Cruise Control, Intermittent Wipers, Variable Speed Intermittent Wipers, a Trip Computer, and Power Steering INTERIOR OPTIONS: a Sliding Rear Window, a Leather Wrapped Steering Wheel, an Adjustable Lumbar Seat(s), Cloth Seats, Bucket Seats, an Adjustable Steering Wheel, and Air Conditioning EXTERIOR OPTIONS: Aluminum Wheels, Fog Lights, Privacy Glass, and an Auto Headlamp SAFETY OPTIONS: Electronic Stability Control, a Back-Up Camera, Side Mirror Turn Signals, Daytime Running Lights, Brake Assist, Integrated Turn Signal Mirrors, a Rear Head Air Bag, Anti-Lock Brakes, Knee AirBag, a Drivers Air Bag, an Auto Dimming R/V Mirror, a Front Side Air Bags, a Front Head Air Bag, a Passenger Air Bag Sensor, and a Passenger Air Bag Toyota Certified Pre-Owned: With this 2016 Toyota Certified Tacoma TRD Offroad, you have far more than just a used vehicle. You have confidence, pride and a vehicle that you can trust. You're Toyota Certified Tacoma can be counted on to go the distance with higher resale value.This CPO vehicle has passed a stringent certification process in order to qualify as Toyota Certified. Your 2016 Toyota Tacoma was subjected to a comprehensive 160-point inspection and a thorough reconditioning process using Authentic Toyota Parts. Along with industry-leading heritage comes another advantage; an exceptional coverage policy. With a 12-month/12,000-mile Limited Comprehensive Warranty a 7-year/100,000-mile Limited Powertrain Warranty plus one full year of Roadside Assistance, honored at more that 1,400 Toyota dealers in the U.S. and Canada, we've got you covered. DESIRABLE FEATURES: 4X4, BLUETOOTH, REMOTE ENTRY, and FOG LAMPS. This four wheel drive used 2017 Ford F-150 XLT features a Shadow Black exterior with a Medium Earth Gray interior and has only 28,797 miles. TECHNOLOGY FEATURES: This Ford F-150 includes Keyless Entry, Steering Wheel Audio Controls, an Anti Theft System, an Auxiliary Audio Input, Bluetooth Connection, an AM/FM Stereo, an MP3 Compatible Radio, and a Single-Disc CD Player STOCK# Q1776 PRICED BELOW MARKET RETAIL VALUE! Heyward Allen Toyota has this used 2017 Ford F-150 XLT for sale today. Don't forget Heyward Allen Toyota WILL BUY OR TRADE FOR YOUR USED CAR, USED TRUCK and/or USED SUV! Our Used Car Dealership in Athens, GA: Call Heyward Allen Toyota today at (706) 433-0433 TO SCHEDULE YOUR TEST DRIVE of this 2017 Ford F-150 XLT! Heyward Allen Toyota serves Athens, GA and the surrounding areas. You can also visit us at, 2910 Atlanta Hwy Athens GA, 30606 to check it out in person! MECHANICAL FEATURES:This Ford F-150 comes Factory equipped with an impressive ecoboost 3.5l v6 gtdi dohc 24v twin turbocharged engine, an automatic transmission. Other installed mechanical features Include Power Windows, Four Wheel Drive, Power Locks, Front Tow Hooks, Power Mirrors, a Spare Tire (Full Size), Traction Control, a Tire Pressure Monitoring System, Disc Brakes, Cruise Control, Intermittent Wipers, Variable Speed Intermittent Wipers, and Power Steering INTERIOR OPTIONS: Cloth Seats, an Adjustable Lumbar Seat(s), an Adjustable Steering Wheel, Air Conditioning, a Bench Seat (Split), a Pass-Through Rear Seat, Vanity Mirrors, a Bench Seat, and Floor Mats EXTERIOR OPTIONS: Aluminum Wheels, Fog Lights, Privacy Glass, and an Auto Headlamp SAFETY OPTIONS: Electronic Stability Control, Driver Restriction Features, Brake Assist, Daytime Running Lights, a Drivers Air Bag, Anti-Lock Brakes, a Rear Head Air Bag, Child Proof Locks, a Front Head Air Bag, a Front Side Air Bags, a Passenger Air Bag Sensor, and a Passenger Air Bag We're glad you found this used Ford F-150 for sale at our car dealership in Athens, GA. Looking for financing? Our Heyward Allen Toyota finance specialist will find the best rates available for this used Ford F-150 for sale. Heyward Allen Toyota has new cars for sale and used cars for sale in Athens. DESIRABLE FEATURES: 4X4, BLUETOOTH, REMOTE ENTRY, and FOG LAMPS. This four wheel drive used 2017 Ford F-150 XLT features a Oxford White exterior with a Medium Earth Gray interior and has only 32,095 miles. TECHNOLOGY FEATURES: This Ford F-150 includes Steering Wheel Audio Controls, Keyless Entry, an Anti Theft System, an Auxiliary Audio Input, an AM/FM Stereo, an MP3 Compatible Radio, Bluetooth Connection, and a Single-Disc CD Player STOCK# A318470 PRICED BELOW MARKET RETAIL VALUE! Heyward Allen Toyota has this used 2017 Ford F-150 XLT for sale today. Don't forget Heyward Allen Toyota WILL BUY OR TRADE FOR YOUR USED CAR, USED TRUCK and/or USED SUV! Our Used Car Dealership in Athens, GA: Call Heyward Allen Toyota today at (706) 433-0433 TO SCHEDULE YOUR TEST DRIVE of this 2017 Ford F-150 XLT! Heyward Allen Toyota serves Athens, GA and the surrounding areas. You can also visit us at, 2910 Atlanta Hwy Athens GA, 30606 to check it out in person! MECHANICAL FEATURES:This Ford F-150 comes Factory equipped with an impressive 5.0l v8 ffv engine, an automatic transmission. Other installed mechanical features Include Four Wheel Drive, Power Windows, Power Mirrors, Front Tow Hooks, Power Locks, Traction Control, a Spare Tire (Full Size), a Tire Pressure Monitoring System, Disc Brakes, Cruise Control, Intermittent Wipers, Power Steering, and Variable Speed Intermittent Wipers INTERIOR OPTIONS: Cloth Seats, an Adjustable Lumbar Seat(s), an Adjustable Steering Wheel, a Bench Seat (Split), a Pass-Through Rear Seat, Air Conditioning, Vanity Mirrors, Floor Mats, and a Bench Seat EXTERIOR OPTIONS: Fog Lights, Aluminum Wheels, Privacy Glass, and an Auto Headlamp SAFETY OPTIONS: Electronic Stability Control, Daytime Running Lights, Driver Restriction Features, Brake Assist, Anti-Lock Brakes, a Rear Head Air Bag, a Drivers Air Bag, a Passenger Air Bag Sensor, Child Proof Locks, a Front Side Air Bags, a Front Head Air Bag, and a Passenger Air Bag We're glad you found this used Ford F-150 for sale at our car dealership in Athens, GA. Looking for financing? Our Heyward Allen Toyota finance specialist will find the best rates available for this used Ford F-150 for sale. Heyward Allen Toyota has new cars for sale and used cars for sale in Athens. Toyota CERTIFIED! DESIRABLE FEATURES: 4X4, BACKUP CAMERA, NAVIGATION, BLUETOOTH, REMOTE ENTRY, and FOG LAMPS. This four wheel drive Certified Pre Owned 2017 Tacoma TRD Sport features a Barcelona Red Metallic exterior with a Graphite W/gun Metal Cloth interior and has only 13,440 miles. TECHNOLOGY FEATURES: This Toyota Certified Tacoma for sale includes a Navigation System, Keyless Entry, Keyless Start, Satellite Radio, Steering Wheel Audio Controls, an Anti Theft System, an Auxiliary Audio Input, a HD Radio, Bluetooth Connection, an AM/FM Stereo, Digital Media Storage, an MP3 Compatible Radio, and a Single-Disc CD Player STOCK# A233946 PRICED BELOW MARKET RETAIL VALUE! Heyward Allen Toyota has this 2017 Toyota Tacoma TRD Sport ready for sale today.Don't forget Heyward Allen Toyota WILL BUY OR TRADE FOR YOUR USED CAR, USED TRUCK and/or USED SUV! DEALER CONTACT INFO: Call Heyward Allen Toyota today at (706) 433-0433 TO SCHEDULE YOUR TEST DRIVE of this 2017 Toyota Tacoma TRD Sport! Heyward Allen Toyota serves Athens,GA & the surrounding areas. You can also visit us at, 2910 Atlanta Hwy Athens GA, 30606 to check it out in person! MECHANICAL FEATURES: This Toyota Tacoma comes Factory equipped with an impressive v6 engine, an automatic transmission. Other installed mechanical features include Power Windows, Four Wheel Drive, Traction Control, Front Tow Hooks, a Spare Tire (Full Size), Power Mirrors, Power Locks, Cruise Control, a Tire Pressure Monitoring System, Disc Brakes, Intermittent Wipers, Power Steering, Variable Speed Intermittent Wipers, and a Trip Computer INTERIOR OPTIONS: an Adjustable Lumbar Seat(s), Cloth Seats, a Leather Wrapped Steering Wheel, a Pass-Through Rear Seat, an Adjustable Steering Wheel, Bucket Seats, Air Conditioning, and a Bench Seat EXTERIOR OPTIONS: Fog Lights, Aluminum Wheels, Privacy Glass, and an Auto Headlamp SAFETY OPTIONS: a Back-Up Camera, Electronic Stability Control, Side Mirror Turn Signals, Brake Assist, Integrated Turn Signal Mirrors, Daytime Running Lights, a Drivers Air Bag, Knee AirBag, Anti-Lock Brakes, a Rear Head Air Bag, a Passenger Air Bag Sensor, Child Proof Locks, an Auto Dimming R/V Mirror, a Front Head Air Bag, and a Front Side Air Bags Toyota Certified Pre-Owned: With this 2017 Toyota Certified Tacoma TRD Sport, you have far more than just a used vehicle. You have confidence, pride and a vehicle that you can trust. You're Toyota Certified Tacoma can be counted on to go the distance with higher resale value.This CPO vehicle has passed a stringent certification process in order to qualify as Toyota Certified. Your 2017 Toyota Tacoma was subjected to a comprehensive 160-point inspection and a thorough reconditioning process using Authentic Toyota Parts. Along with industry-leading heritage comes another advantage; an exceptional coverage policy. With a 12-month/12,000-mile Limited Comprehensive Warranty a 7-year/100,000-mile Limited Powertrain Warranty plus one full year of Roadside Assistance, honored at more that 1,400 Toyota dealers in the U.S. and Canada, we've got you covered. Toyota CERTIFIED! DESIRABLE FEATURES: LEATHER, BACKUP CAMERA, CRASH AVOIDANCE, NAVIGATION, BLUETOOTH, FOG LAMPS, and REMOTE ENTRY. This rear wheel drive Certified Pre Owned 2018 Tundra 2WD Limited features a Magnetic Gray Metallic exterior with a Graphite Leather interior and has only 21,417 miles. TECHNOLOGY FEATURES: This Toyota Certified Tundra 2WD for sale includes Keyless Entry, Multi-zone Climate Control, Steering Wheel Audio Controls, Satellite Radio, a Navigation System, an Anti Theft System, an Auxiliary Audio Input, a Garage Door Opener, a HD Radio, an MP3 Compatible Radio, an AM/FM Stereo, Digital Media Storage, Bluetooth Connection, and a Single-Disc CD Player STOCK# A823114 PRICED BELOW MARKET RETAIL VALUE! Heyward Allen Toyota has this 2018 Toyota Tundra 2WD Limited ready for sale today.Don't forget Heyward Allen Toyota WILL BUY OR TRADE FOR YOUR USED CAR, USED TRUCK and/or USED SUV! DEALER CONTACT INFO: Call Heyward Allen Toyota today at (706) 433-0433 TO SCHEDULE YOUR TEST DRIVE of this 2018 Toyota Tundra 2WD Limited! Heyward Allen Toyota serves Athens,GA & the surrounding areas. You can also visit us at, 2910 Atlanta Hwy Athens GA, 30606 to check it out in person! MECHANICAL FEATURES: This Toyota Tundra 2WD comes Factory equipped with an impressive i-force 5.7l v8 dohc 32v lev engine, an automatic transmission. Other installed mechanical features include Power Windows, Heated Mirrors, Power Mirrors, a Spare Tire (Full Size), Power Locks, Traction Control, Rear Wheel Drive, a Tire Pressure Monitoring System, a Power Passenger Seat, Disc Brakes, Cruise Control, Intermittent Wipers, Power Steering, Tires - Front Performance, a Trip Computer, Variable Speed Intermittent Wipers, and Tires - Rear Performance INTERIOR OPTIONS: Dual Power Seats, Heated Seats, Automatic Climate Control, Leather Seat Trim, a Power Drivers Seat, an Adjustable Lumbar Seat(s), Wood Trim, a Leather Wrapped Steering Wheel, a Pass-Through Rear Seat, a Driver Illuminated Vanity Mirror, an Adjustable Steering Wheel, Bucket Seats, a Passenger Illuminated Visor Mirror, Vanity Mirrors, a Rear Window Defroster, Floor Mats, and a Bench Seat EXTERIOR OPTIONS: Fog Lights, Aluminum Wheels, a Trailer Hitch Receiver, Privacy Glass, and an Auto Headlamp SAFETY OPTIONS: Lane Departure Warning, a Back-Up Camera, Electronic Stability Control, Brake Assist, Daytime Running Lights, Knee AirBag, a Drivers Air Bag, Anti-Lock Brakes, a Rear Head Air Bag, a Front Head Air Bag, Child Proof Locks, a Passenger Air Bag Sensor, a Front Side Air Bags, an Auto Dimming R/V Mirror, and a Passenger Air Bag Toyota Certified Pre-Owned: With this 2018 Toyota Certified Tundra 2WD Limited, you have far more than just a used vehicle. You have confidence, pride and a vehicle that you can trust. You're Toyota Certified Tundra 2WD can be counted on to go the distance with higher resale value.This CPO vehicle has passed a stringent certification process in order to qualify as Toyota Certified. Your 2018 Toyota Tundra 2WD was subjected to a comprehensive 160-point inspection and a thorough reconditioning process using Authentic Toyota Parts. Along with industry-leading heritage comes another advantage; an exceptional coverage policy. With a 12-month/12,000-mile Limited Comprehensive Warranty a 7-year/100,000-mile Limited Powertrain Warranty plus one full year of Roadside Assistance, honored at more that 1,400 Toyota dealers in the U.S. and Canada, we've got you covered. New vehicle pricing includes all offers and incentives. Tax, Title and Tags not included in vehicle prices shown and must be paid by the purchaser. Price INCLUDES $599 Dealer Documentation Fee. While great effort is made to ensure the accuracy of the information on this site, errors do occur so please verify information with a customer service rep. This is easily done by calling us at (706) 433-0433 or by visiting us at the dealership. What kind of a pickup truck are you looking for? Do you need a large, rugged truck capable of towing your machinery, carrying your crew, and hauling large payloads? Do you need tough, compact pickup truck to help you with weekend projects and DIY undertakings? Or do you simply need a vehicle that you love to drive, and used Toyota trucks seem to fit the bill? We have used trucks for sale in Athens, GA that fit all of the above descriptions, and we’d love to show you our inventory of popular, best-selling pickup trucks. We pride ourselves in offering incredible service to all of our neighbors in Athens, GA, and we think you’ll see why when you arrive at our dealership. Our team of automotive professionals is friendly and knowledgeable, our technicians have been factory certified, and our should you need to bring you truck in for service, our waiting area is pet-friendly, comfortable, and complete with wifi and snacks. 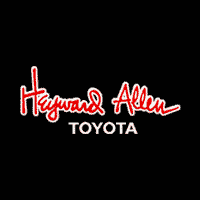 We want you to enjoy shopping for used Toyota trucks almost as much as you enjoy driving them, and we think you will enjoy your time at Heyward Allen Toyota very much. If you have any questions about our inventory, our specials, or anything else, please contact us online, on the phone, or by stopping by our location. We would love to meet you. Have you ever owned the Toyota Tacoma? If not, there’s never been a better time — we offer unbeatable prices on this iconic pickup truck, and when you buy a Tacoma you’re getting far more than just a used truck. You’re buying into a piece of history, and once you started driving it around, you’ll quickly understand why. The Tacoma’s rugged lines and athletic suspension never get old or out of fashion, and its rugged durability will keep your truck running almost indefinitely. Turn heads along your daily drive whether you are driving a 90s-era Tacoma or a model produced in the last 10 years, and get an unbeatable deal on this timeless used truck at our dealership. Our used Toyota trucks also include the popular Toyota Tundra, and once you take it on a test drive, you’ll quickly understand why it sell so quickly. It’s loaded with horsepower and torque, and you won’t have any trouble hauling heavy payloads, towing tractors and trailers, or driving over difficult terrain. It also features an athletic build and rugged appearance, so whether you invest in a crew cab configuration or standard cab, you’ll love the way your used Toyota truck drives and looks. Our used trucks for sale sell quickly, so we recommend keeping an eye on our inventory — you never know how long these trucks will last, and you don’t want to miss your opportunity to take one on a test drive! We also offer a handful of non-Toyota used trucks for sale at any given time, so if you’re open to trying other things, we still encourage you to check out our inventory. Before you get too far down the used truck path, we always recommend that you get pre approved for vehicle financing. It will allow you to focus on the fun part later on — test driving used trucks and paying attention to the various specifications — and it will also keep you from overspending your budget. All you have to do is enter som banking and financial information into our simple online form. It’s safe and secure, and it only takes a few minutes! You will then receive an evaluation of what credit you are eligible for, and you will be ready to buy your used truck. Stronger applications will be eligible for more credit and lower rates of interest, but even if you have bad credit, we still suggest that you apply — we want to help everyone get behind the wheel of the used truck they need. We realize that you aren’t buying a used truck in Athens, GA to let it sit quietly in your driveway, and because of that, you may need service, repairs, or replacement parts down the line. Our used trucks for sale will work as hard as you do, but even the most rugged and durable pickup truck needs an oil change or tire rotation every now and then. When that time comes, we hope you’ll choose our dealership — our technicians are factory-certified, and they understand your used Toyota truck better than anyone. Additionally, our replacement parts are original equipment manufacturer (OEM) parts, so they won’t diminish the resale value of your truck at all. If you have any questions about our used truck inventory, the services we offer, or anything, please don’t hesitate to reach out. We would love to hear from you.